The Digital SLR or DSLR lets you change your lens, making it a versatile option for those that also want an optical viewfinder. Some of the things to look for on more advanced Digital SLRs is a top LCD screen, which you will find on some models, making it easier to see what the camera settings are. Many of the latest DSLRs also feature built-in Wi-Fi making it easy to transfer photos to your smartphone or tablet. These cameras all feature a Full-Frame sized sensor, which is the same size as 35mm film, giving a shallow depth of field, and often a very wide ISO range. Make sure you click the name to read the full reviews to find out the pros and cons of each model shown below, and how we score the cameras. To check the latest prices, you can click the green "buy on Amazon" buttons. It doesn't cost you anything extra when you press our Amazon buttons but by using our Amazon Affiliate links when ordering anything online, you are supporting the site - thank you. If you're not in the UK, clicking on the 'Buy on Amazon USA' button will redirect you to the relevant country site. If you don't see your favourite Full-Frame DSLR on this list it's either because we've not reviewed it or it's simply not scored high enough. 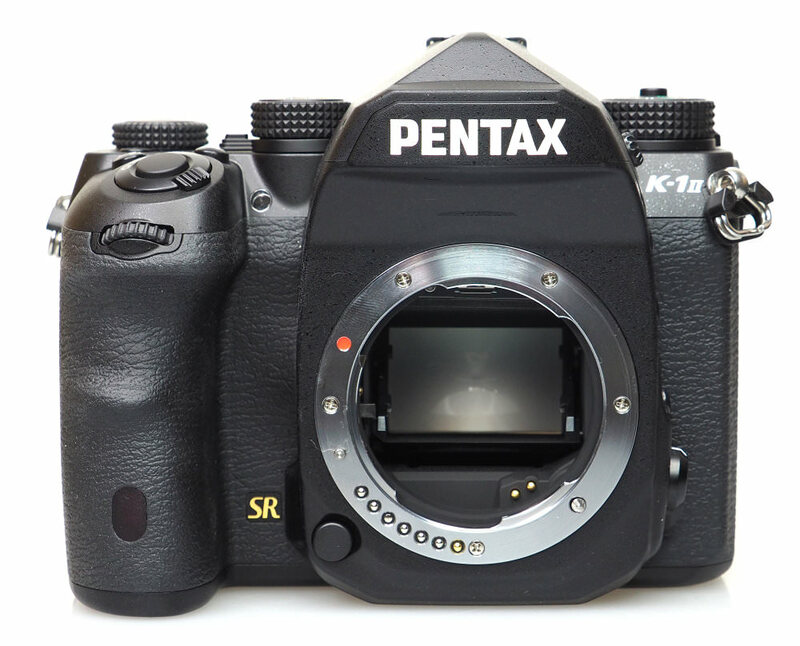 The Pentax K-1 is the long-awaited full-frame Digital SLR from Pentax and features a 36.3-megapixel sensor, built-in 5-axis Shake Reduction sensor and pixel shift resolution for sharper images. The camera features built-in GPS, Wi-Fi, weather-sealing and an innovative 3.2inch "Flex-tilt" screen, as well as illumination to help you use the camera in the dark. There's a wide ISO range from ISO100 to ISO204800, and it's one of the most affordable high-resolution full-frame DSLR cameras available. The 36.3 megapixel Nikon D810 can shoot at 5fps, has a 3.2inch screen, full HD video recording, USB3, an ISO range from ISO32 to ISO51,200, 900 shot battery life, and a weather-sealed body. The sensor does not feature an anti-aliasing filter (aka OLPF), which means that the camera is capable of producing excellent image quality. 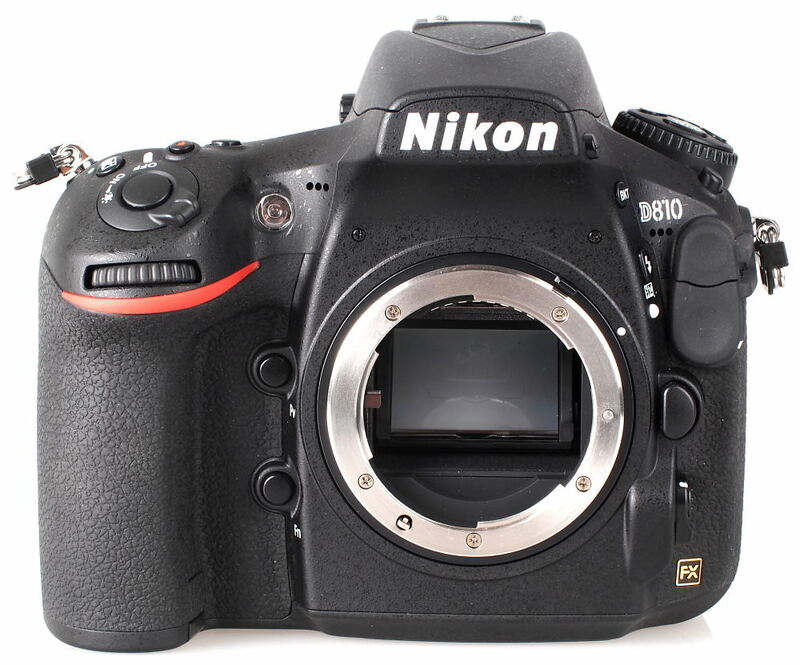 The Nikon D810 is available for £2349 body only. The 50.6 megapixel Canon EOS 5DS R offers the highest resolution sensor available in a full-frame camera and features a low-pass cancellation filter, designed to maximise sharpness and detail. With a high-resolution sensor, the ISO range of the camera is ISO50 to ISO12800 when extended, and the camera shoots at 5fps in continuous drive mode. The camera features a 3.2inch screen, a mirror vibration control system, USB3 and 700 shot battery life. 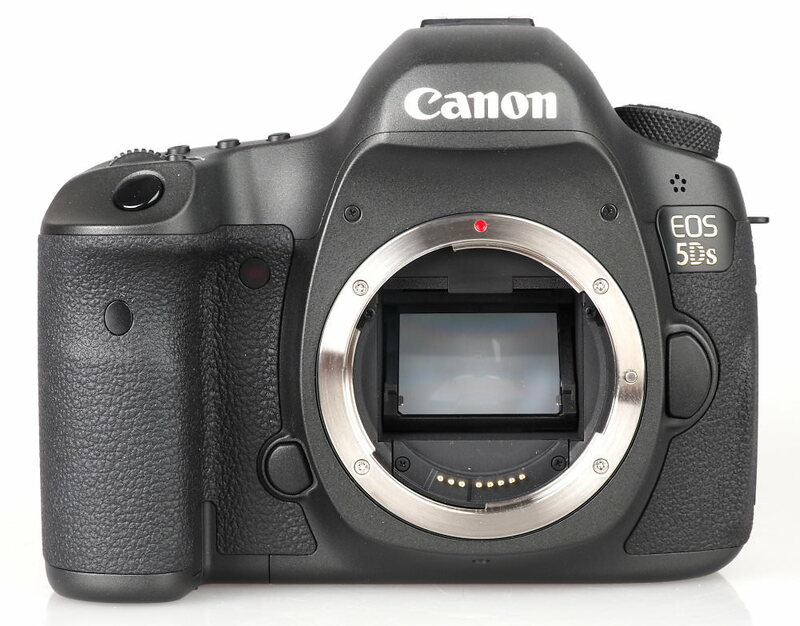 The weather-sealed Canon EOS 5DS R is available for £3199 body only. 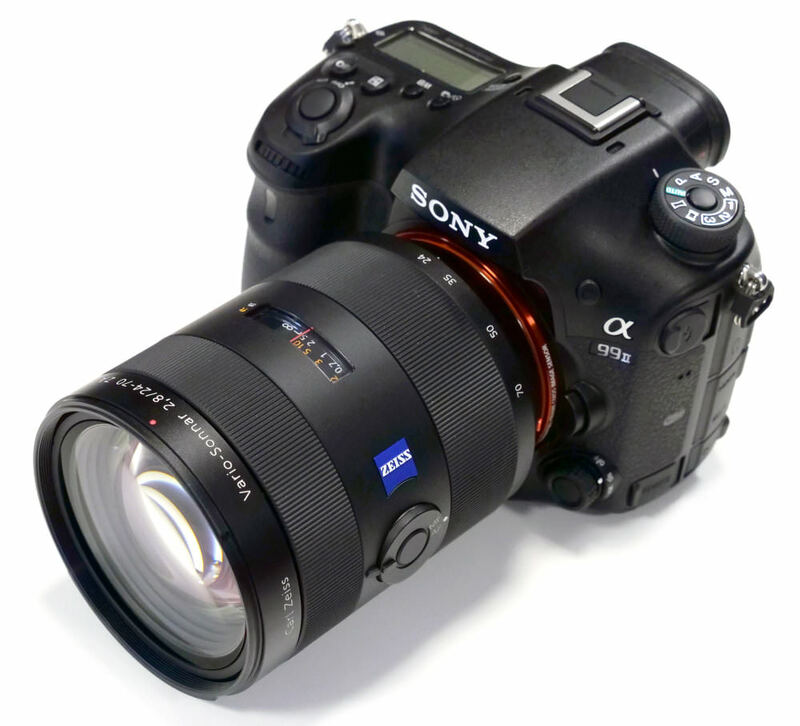 The 42 megapixel Sony Alpha A99 Mark II offers 12fps continuous shooting, ISO50 to ISO102400, magnesium alloy weather-sealed body, 4K video with continuous AF, 3inch tilting screen, and an image stabilised sensor that works with any lens. Battery life is relatively poor at 390 / 490 shots, and the A99 II features an electronic viewfinder (EVF) instead of an optical viewfinder. The Sony Alpha A99 II is available for £2999 body only and has built-in Wi-Fi, NFC and Bluetooth. The 20 megapixel Canon EOS 6D is one of the smallest full-frame DSLRs from Canon weighing just 680g, with 1090 shot battery life. The 20.2-megapixel full-frame sensor means noise performance is excellent, offering an ISO range of ISO50 to ISO102,400, and the camera has built-in GPS and Wi-Fi. The camera also offers 4.5fps continuous shooting and a weather sealed body. 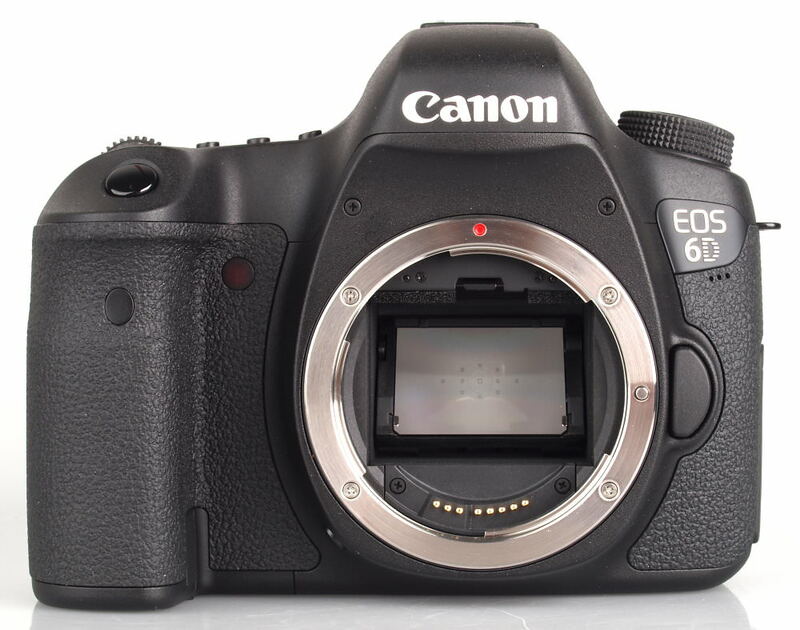 The Canon EOS 6D is available for £1055 body only. 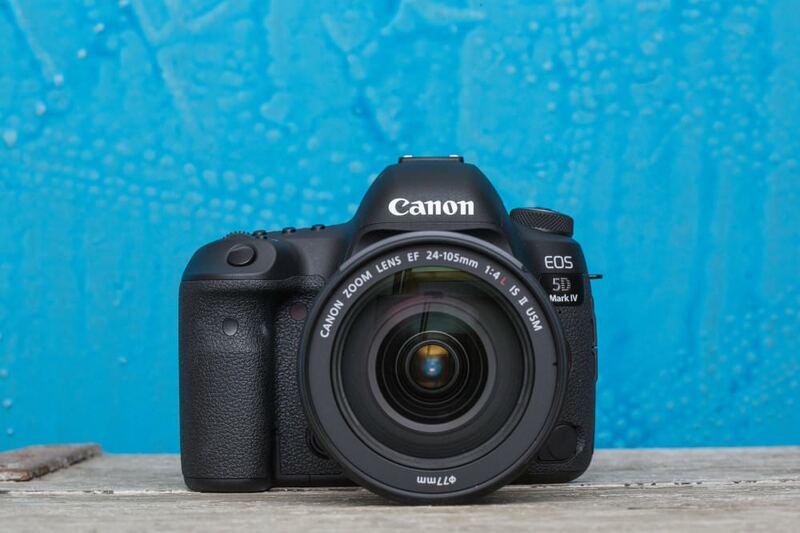 The 30 megapixel Canon EOS 5D Mark IV is the 4th version of the highly popular 5D series and offers 4K video recording, 7fps continuous shooting, plus built-in GPS and Wi-Fi. There's a new Dual-pixel AF system for improved live view and video focus speeds, a large 3.2inch 1.62m dot touch-screen, as well as improved weather sealing and handling. A new feature has been added called Dual pixel raw, that lets you adjust the focus and sharpness after shooting, and there's also USB3 for faster image transfer. 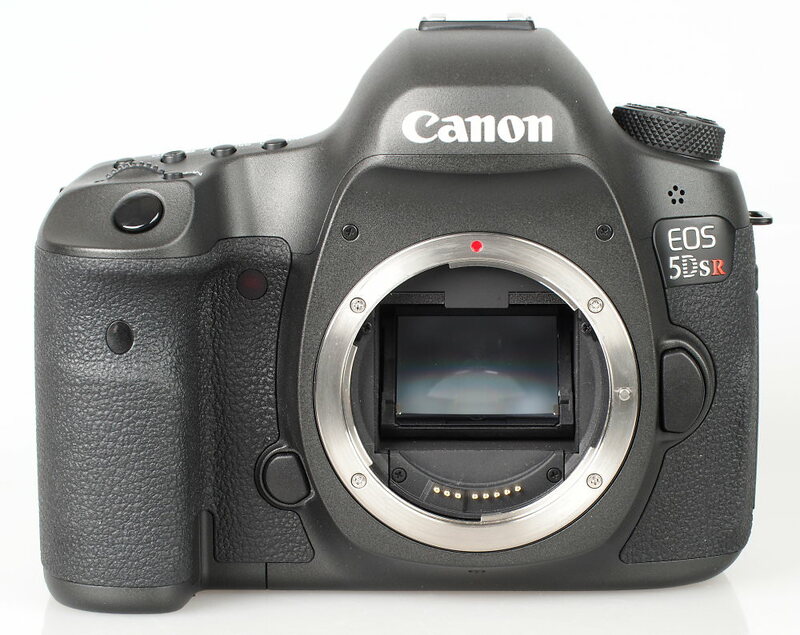 The 50 megapixel Canon EOS 5DS has the same 50-megapixel sensor as the 5DS R, however, it has an anti-aliasing filter in front of the sensor, resulting in reduced risk of moire and false colour information. The camera can shoot at 5fps, features a 3.2inch screen, a weather sealed body, and like the 5DS R a mirror vibration control system, ISO50 to ISO12,800, USB3 and 700 shot battery life. The Canon EOS 5DS is available for £2999 body only. 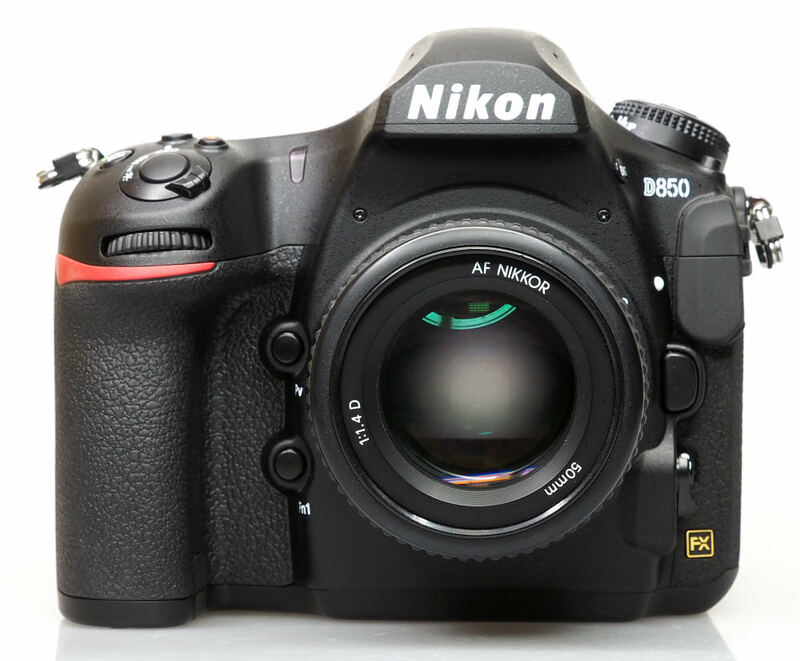 The 45.7 megapixel Nikon D850 offers 7fps continuous shooting (9fps with optional battery grip), ISO32 to ISO102400, magnesium alloy weather-sealed body, 4K video, 3.2inch tilting touch-screen, 153 AF points, and built-in Wi-Fi and Bluetooth. Battery life is impressive at 1840 shots. The Nikon D850 is available for £3499 body only. The 26 megapixel Canon EOS 6D Mark II, updates the EOS 6D and features dual-pixel AF. It is one of the smallest full-frame DSLRs from Canon. The camera features a 3inch vari-angle touch-screen, 45 AF points, 6.5fps continuous shooting, 1200 shot battery life and, offers an ISO range of ISO50 to ISO102,400. The camera has built-in Wi-Fi and Bluetooth. 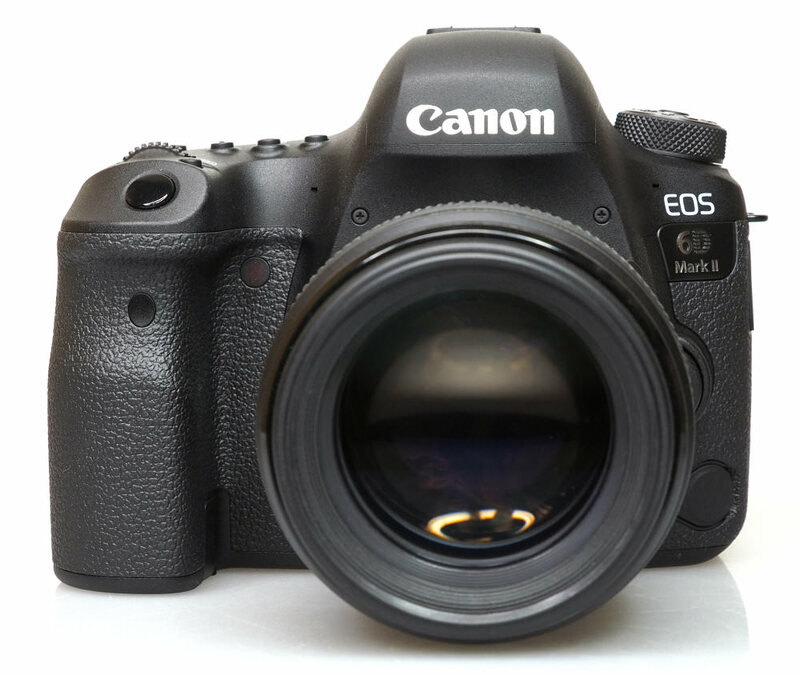 The Canon EOS 6D Mark II is available for £1799 body only. 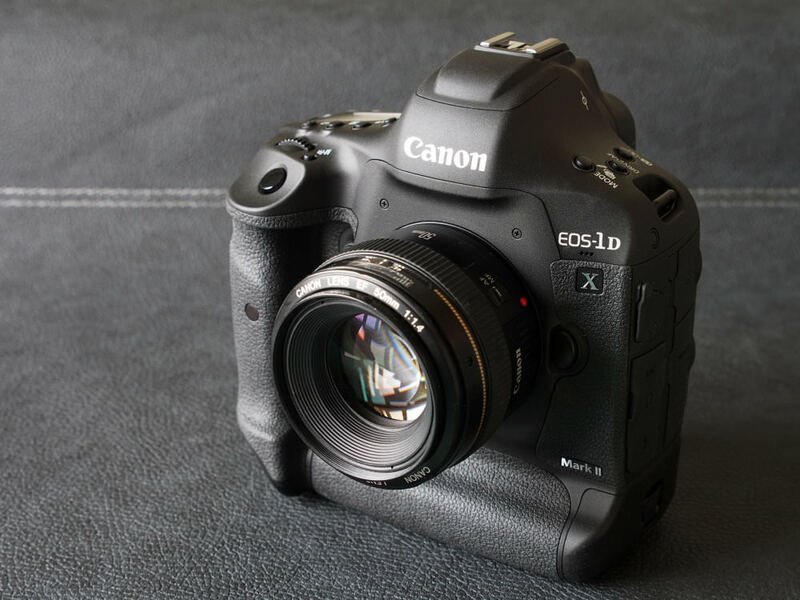 The 20 megapixel Canon EOS-1D X Mark II is a monster of a Sports camera, and offers high-speed continuous shooting, 14fps with AE/AF or 16fps when shooting in live view (with the mirror up), making it the fastest full-frame Digital SLR available. Dual pixel AF ensures fast focusing, and the ISO range has been improved from ISO50 to ISO409600. There's a 3.2inch 1.62m dot touch-screen on the back, 4K (CINE) 60fps video recording, built-in GPS, USB3, and 1210 shot battery life. The Canon EOS 1D X is available for around £5199 body only. The 24 megapixel Nikon D750 features a tilting 3.2inch screen, 6.5fps continuous shooting, an ISO range of ISO50 to ISO51,200, built-in Wi-Fi, 1230 shot battery life, and a weather sealed body. 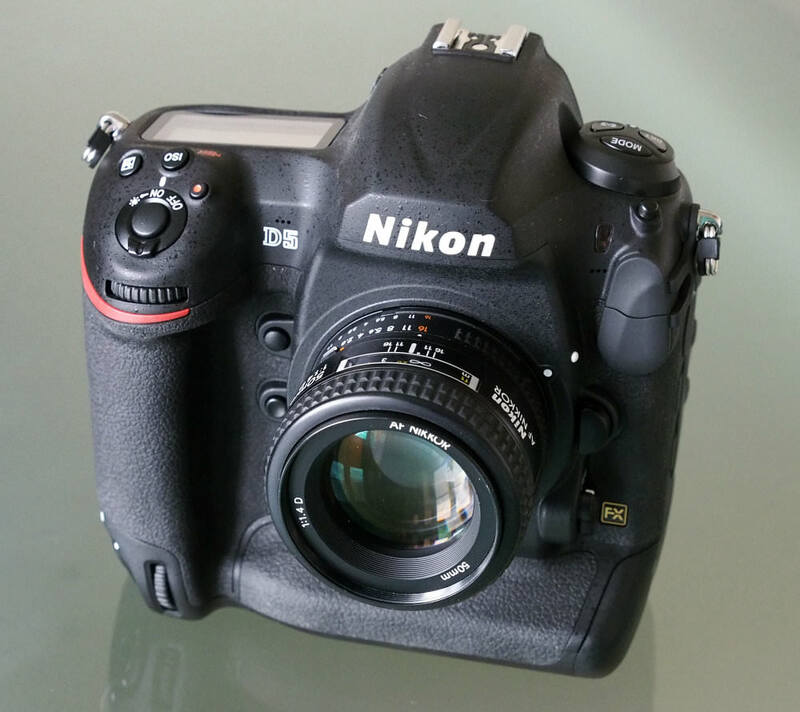 It is also the smallest full-frame Digital SLR from Nikon, smaller than both the D610 and Df. 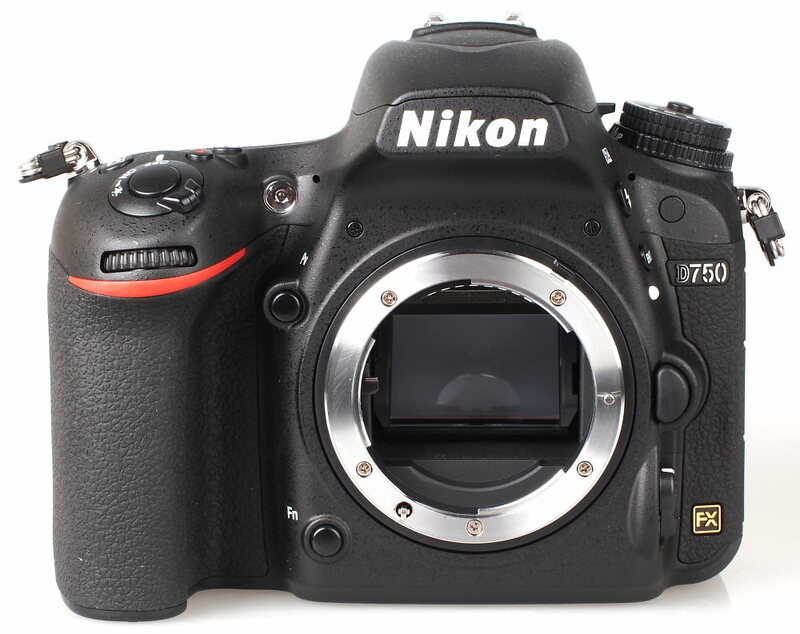 The Nikon D750 is available for around £1499 body only. The 20 megapixel Nikon D5 updates the Nikon D4s, and offers 14fps continuous shooting with mirror lock-up or 12fps with AF/AE, a 3.2inch touch-screen with 2.36m dots, and an ISO range from ISO50 to ISO3.2million! The camera offers 4K (UHD) video recording, and an impressive 3780 shot battery life, as well as a weather-sealed body. The Nikon D4s is available for £5199 body only. If you're a Pentax fan, then the K-1 Mark II is a very good camera, and if you are looking for a full-frame Pentax camera, then this is the one to get. If you already have the K-1, then it's a bit more difficult to justify the upgrade. If you are happy with the performance and features of the K-1, then the Mark II will give you slightly improved image quality, along with a few new features, but perhaps not enough to justify the upgrade. 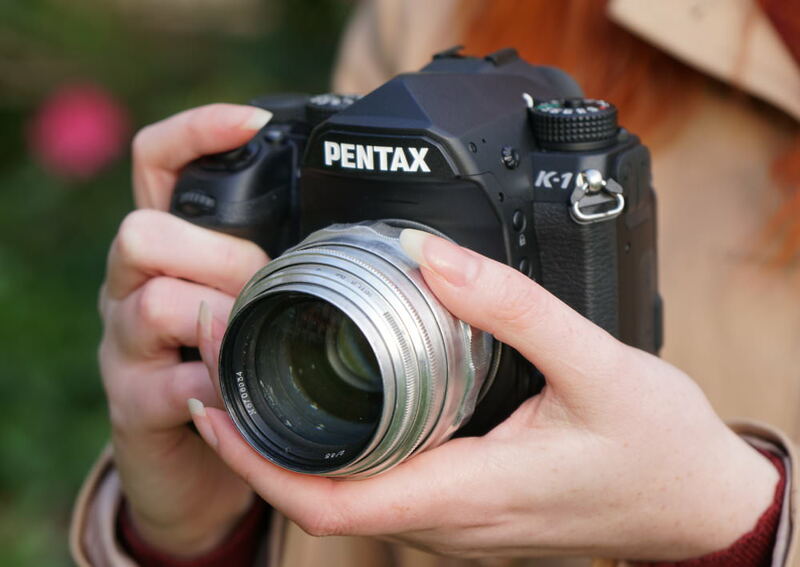 The Pentax K-1 Mark II performs well and offers good value for money with a number of unique features. Alternatively, have a look at our Best APS-C Digital SLRs round-up and once you've found the perfect Digital SLR, you'll need to find the right camera bag, and memory card for your camera. You can find the latest Digital SLR reviews here, or find a new lens for your camera in our lens reviews.